We will need to enter a start and a en address for the address pool we want the DHCP to handle. 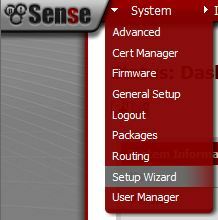 Press Enter to apply the settings, you will be returned to the pfsense console menu. Go to a test client (mine is a winows 7) that runs on the lan (in my case LAN-test) and run ipconfig in a command prompt, normally the client shood have received a IP address from the DHCP server. If not check if a static ip is configured (if it is the case change it to dhcp) and that you are on the correct network. 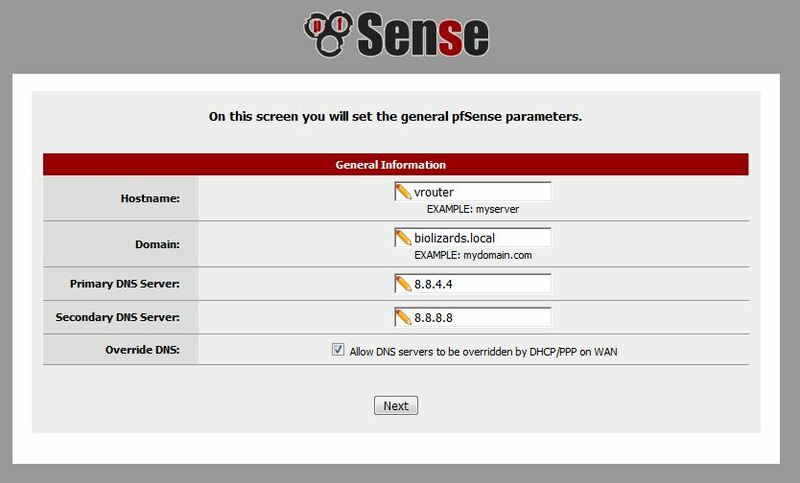 For the primary and secondary I chose to configure the public dns servers from google wich are 8.8.4.4 and 8.8.8.8 you can also configure your ISP dns server here. 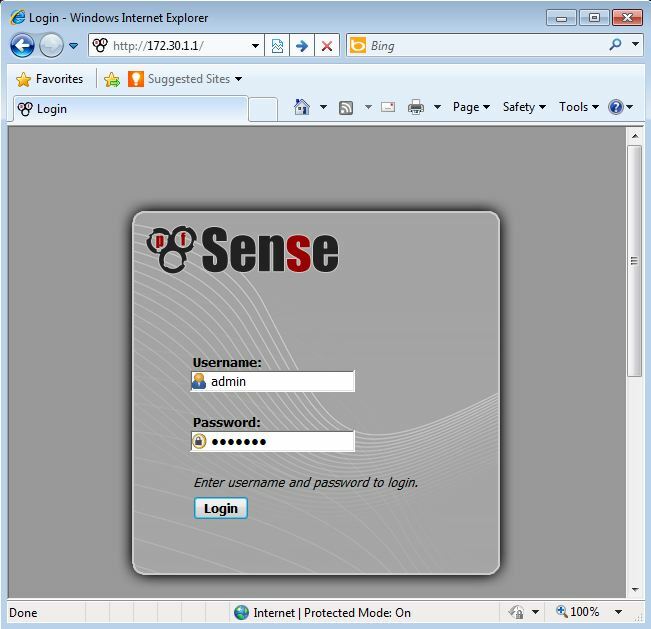 You Now have a basic configured router like a linksys, dlink or other brand home router. 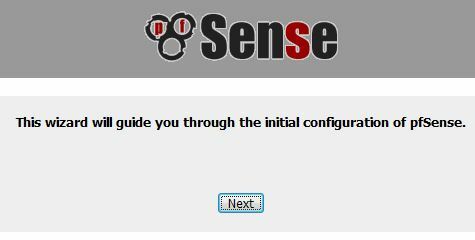 But don’t stop here pfsense has many more features for you to configure and is much more then a simple router.